1 comments | First published October 2, 2017 , last updated April 8, 2019 . Reading time: 4 minutes. 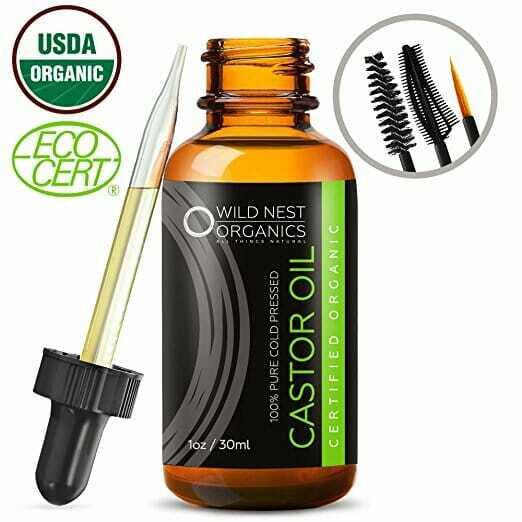 In this post we’re bringing castor oil for hair growth reviews. Is castor oil really worth it for hair growth? What are the best oils out there? 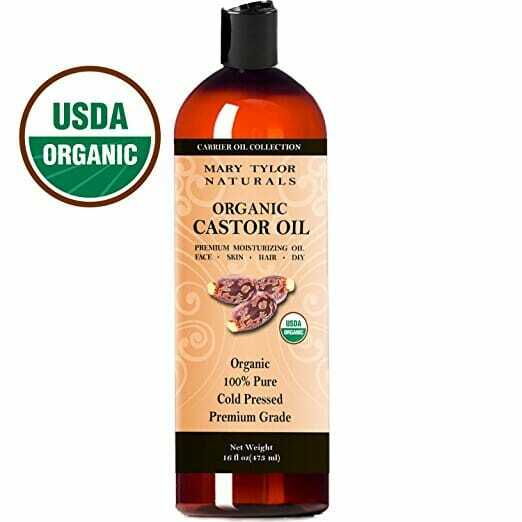 Castor oil is associated with hair and skin health. People that have been using it, mainly start by looking for something that can make their hair stronger, healthier. Some discover castor oil because they have thinning, very damaged or dry hair. Its main properties have been recognized for a long time, making it a great ally in taking care of our hair’s health. Let’s look at the facts. First, it is rich in ricinoleic acid, omega-6 and 9 fatty acids, vitamin E, and minerals. The antioxidants present in the oil support the keratine in the hair, making your hair definitely smoother and working against frizz. Ricinoleic acid, when applied to scalp, has the capacity of improving and accelerating blood circulation. It strengthens the roots of your hair and protects the scalp against aggression and hair fall, being also very effective in protecting against microbes. Castor oil is not only suited for those looking for hair growth, but also for those who want to create a self-care routine that includes protecting their hair. As with all parts of the body, the scalp and hair need care and nourishing, especially in winter when hair is so vulnerable and exposed to damage. 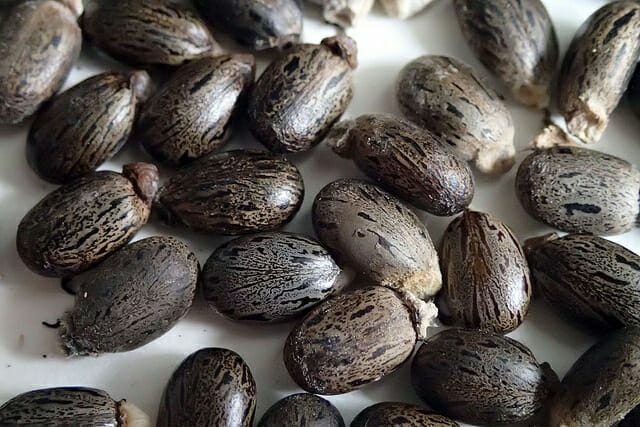 A very few number of people seem to have had allergic reactions to castor oil. So, to be on the safe side, try to apply a very small amount at first, to see how your skin and hair react to it. If you do have a reaction to it, clean the area with mild soap and water. 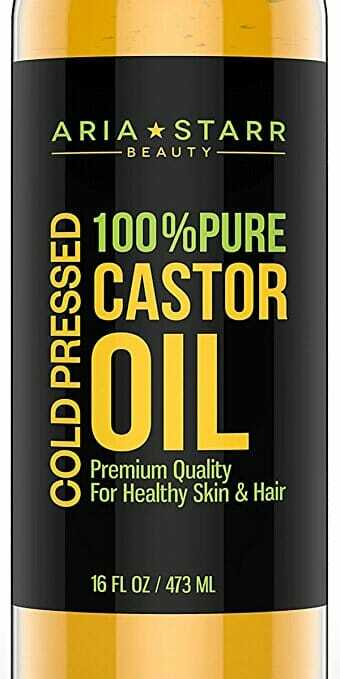 Castor oil for hair growth also works very well, but you shouldn’t expect results overnight. It is always best to be consistent and apply it regularly, and when you do, make sure you rub it very well against your scalp and that you work through all the hair locks. Take your time, and always let the product sit for at least half hour, or even leave it overnight. You should use it at least once a week, and feel free to use up to 4 times a week. Castor oil will moisturize your hair, give it strength and protection against heat and other external damages. Within a short time you will notice as well that your hair will become thicker and stronger. Besides, it is a great agent in filling in the keratin gaps that create split ends! Great for your hair, eyebrows, eyelashes and skin. Does wonders for thinning hair too. Pure, organic, cold pressed, amazing for hair, eyebrows and eyelashes. Cold pressed, unrefined, great for all skin and hair types. Castor oil for hair growth definitely works. In cases of genetic hair loss, there is only so much it can do for you, but in any case it will strengthen your hair and give it a positive energy boost. While castor oil has had great results, massage is key! It is really important that you massage your scalp very well, rubbing the oil in. Repeat at least once a week. You’ll see results in no time, and like us this will become your go-to self-care product!